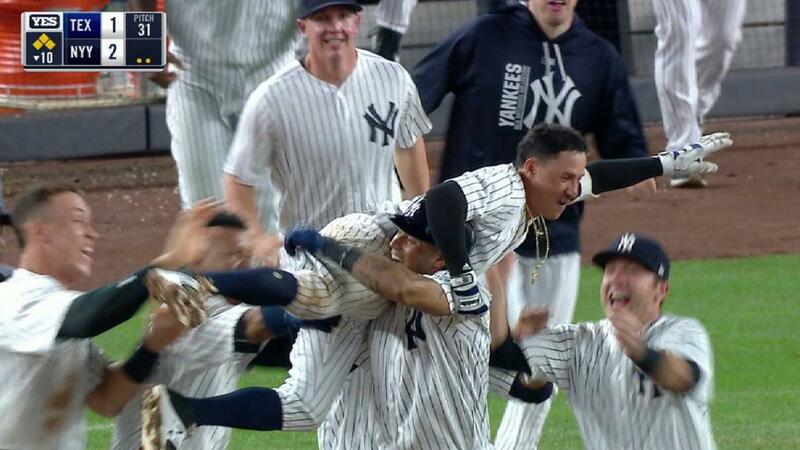 Ronald Torreyes lined a run-scoring single into center field off Matt Bush in the bottom of the 10th inning, driving home Gary Sanchez with the winning run as the Yankees defeated the Rangers, 2-1, on Friday night at Yankee Stadium. After Yu Darvish and Masahiro Tanaka matched zeros in a marvelous pitching matchup, Elvis Andrus raced home on a ninth-inning passed ball with the first run of the game. With the Yankees down to their last two outs, Brett Gardner answered with a homer off Bush into the lower deck in right field, marking Bush’s third blown save in his last five chances.